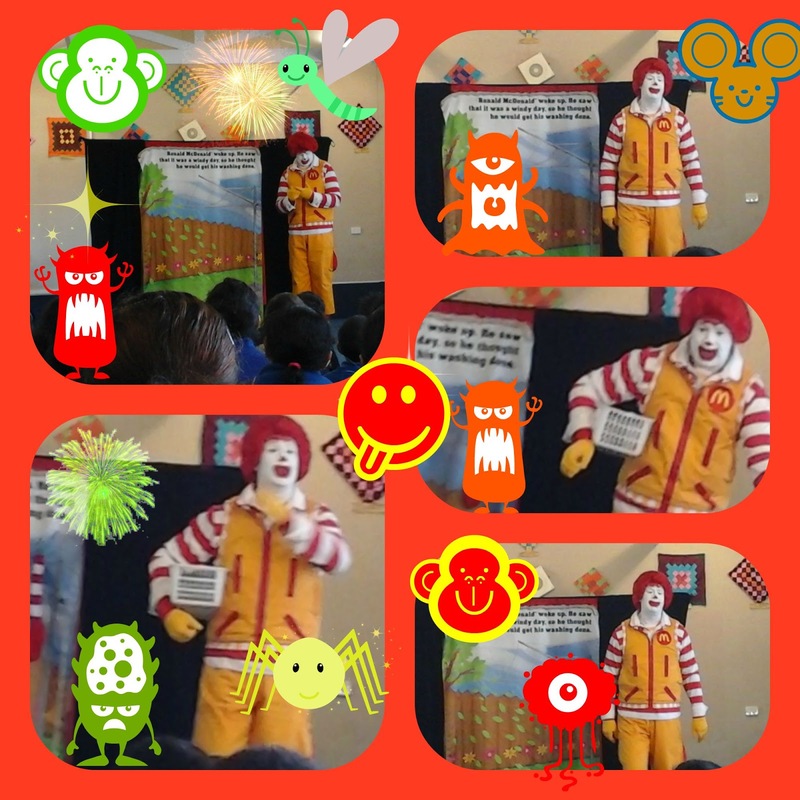 Ronald McDonald came to Ruapotaka school. He told us about keeping safe when we are crossing the road. He said, “stop look and listen before you cross the road.” He did a play about his missing sock and told us to keep safe when we are crossing the road or passing a sneaky driveway. Ronald McDonald sings two songs, ‘make it click’ and ‘stop look and listen before you cross the road’. Ronald McDonald found his sock.